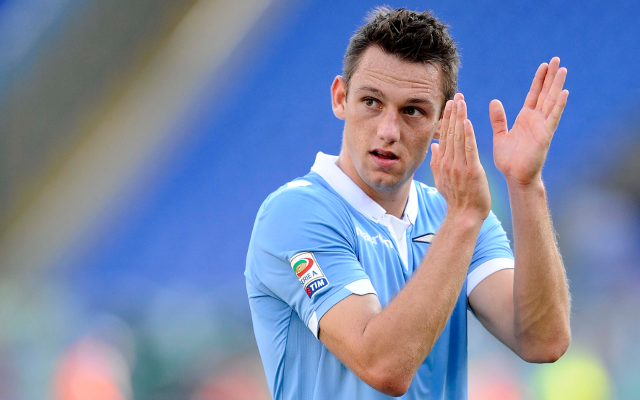 Manchester United manager Louis van Gaal has set his sights on a summer swoop for fellow Dutchman Stefan de Vrij, but faces a fight to prise him away from Lazio, according to reports in the Italian media. TuttoMercatoWeb claims the Red Devils head coach has made his compatriot a primary transfer target, having watched him in action on several occasions to keep tabs on his progress in Serie A. However, United’s chances of landing the centre-half are believed to be slim as he has been in Italy for less than one year and Lazio are confident that they can resist all offers from Old Trafford. The 23-year-old, who arrived in Rome last summer from Feyenoord, played under van Gaal when the United boss was in charge of the Dutch national side, including three World Cup outings. He has made 30 appearances for Lazio in all competitions this term.